Figuring out what to do with the grass clippings created when mowing our lawns can be quite a quandary at times. As landfills continue to fill at alarming speeds — with up to 20% of the refuse being yard waste! — many are banning grass clippings all together. One of the easiest things to do with your grass clippings is to mulch them as you mow (many lawnmowers have this option) and leave them right on the lawn. This practice is known as grasscycling and has many benefits for your lawn. It helps to cut down on water use and also adds extra nitrogen, reducing the need for fertilizers. Building raised beds can be an expensive endeavor when it comes to filling them with soil. To help offset the cost you can use grass clippings to take up space in the bottom half of the bed. Just be careful not to fill the beds with more than 1/4 or so from grass. Compost tea is popular among organic gardeners to feed their plants. You can make a similar liquid plant food by steeping grass clippings in water for 3-4 days and then straining out the liquid. The resulting "tea" will contain nutrients, amino acids and proteins that are a natural food for your plants. After bagging the clippings while mowing, you can spread them around the base of trees and shrubs or on the potting soil surface in container plants. Acting as a mulch, the grass clippings will help to prevent weeds while increasing soil moisture retention. For your compost pile to work efficiently, it needs a mix of "brown" (high carbon) and "green" (high nitrogen) materials. Adding grass clippings to the pile will add nitrogen that's important for production of protein — a food source for the microbes doing the work. Sounds complicated, right? Home Composting Made Easy helps to lay it all out in an easy-to-understand way. Some of your livestock can be fed grass clippings as a supplement to their diet. Rabbits, goats, chickens, cattle and sheep will benefit from the additional nitrogen boost. According to Farm Show, silage made from grass clippings has a higher protein content and digestible matter percentage than hay. While it may sound somewhat crazy, you can actually take grass clippings and use them to make a natural dye. This dye can then be used to color Easter eggs or even to dye fabrics. Similar to cardboard, plastic and glass, your grass clippings can be recycled as well. 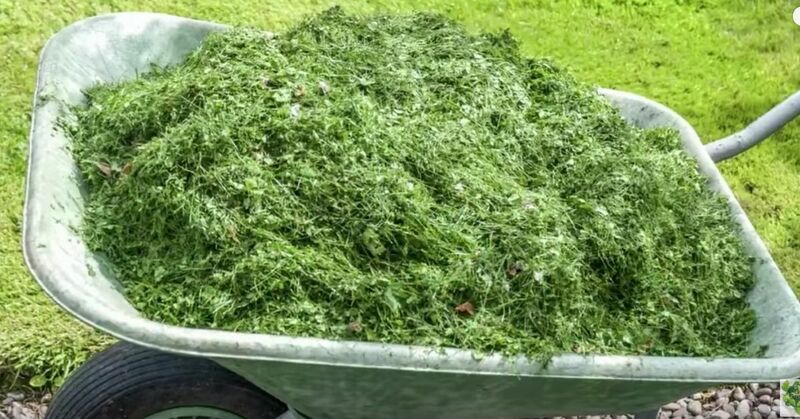 Many municipalities or recycling centers have programs in place to dispose of your grass clippings in a green manner. Often these entities have their own compost piles and use the grass as a green source in the piles. If you want to help feed the local wildlife and encourage these fascinating creatures to come to your yard so you can watch them, put your glass clippings in a pile that's easily accessible to deer and other wildlife. Just make sure you're prepared to have them munch on other flowers and garden plants too, unless preventative measures are put in place.